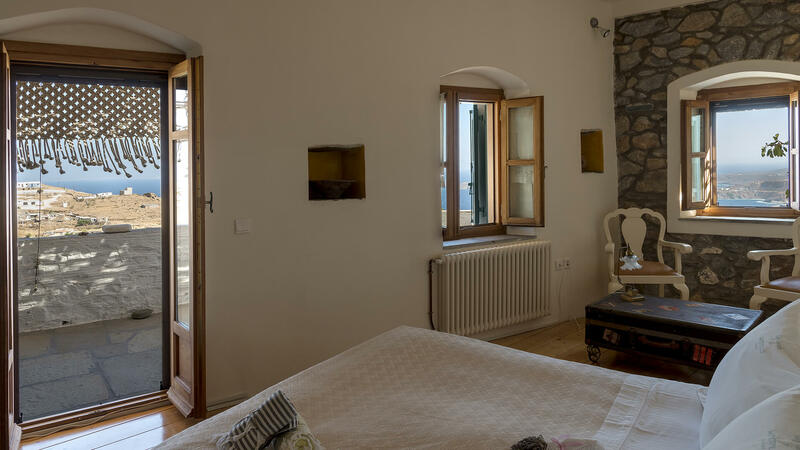 Welcome to wind tales a boutique art guest house situated in the medieval settlement of Ano Syros. Scroll down to navigate to our story! Wind Tales is comprised of 3 unique rooms. 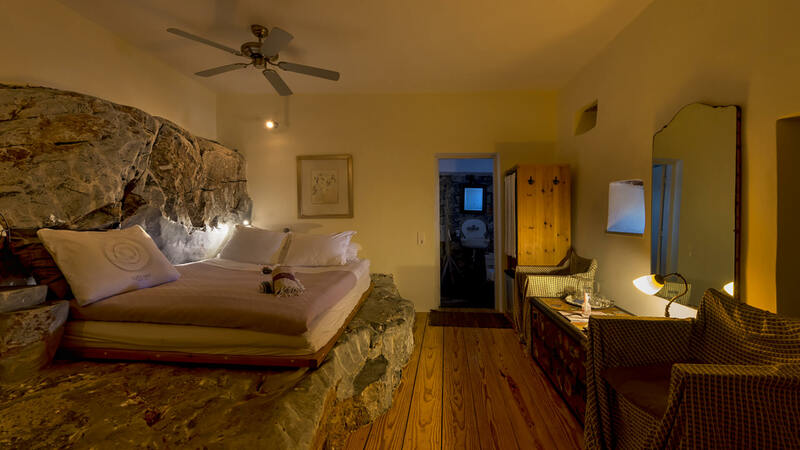 Distinctive Cycladic architecture and decoration, natural materials such as rock, marble and wood, define your first impression. Simply Breathtaking. Undoubtedly the most impressive view of the port of Ermoupolis from Ano Syros. 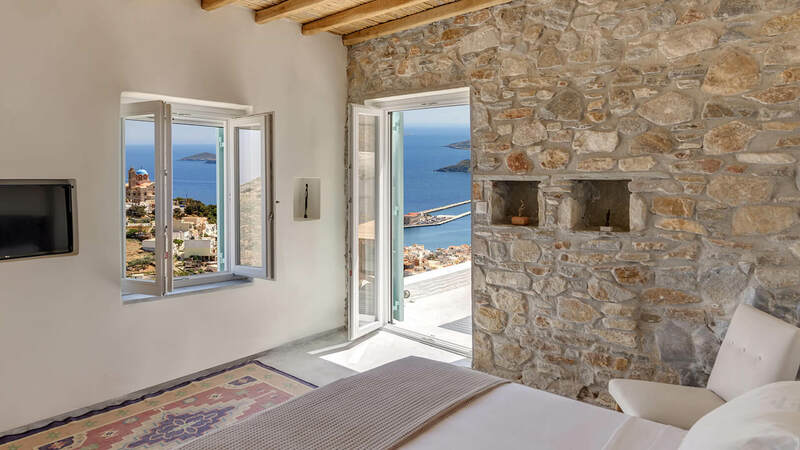 Its panoramic view, as well as the architectonic details of the whole building will give the guest the impression the room is flying, as is witnessed by its name. The medieval village of Ano Syros, also called “Chora”, is one of the best preserved settlements in the Aegean. Dating back to the 12th century little has changed in its architecture.